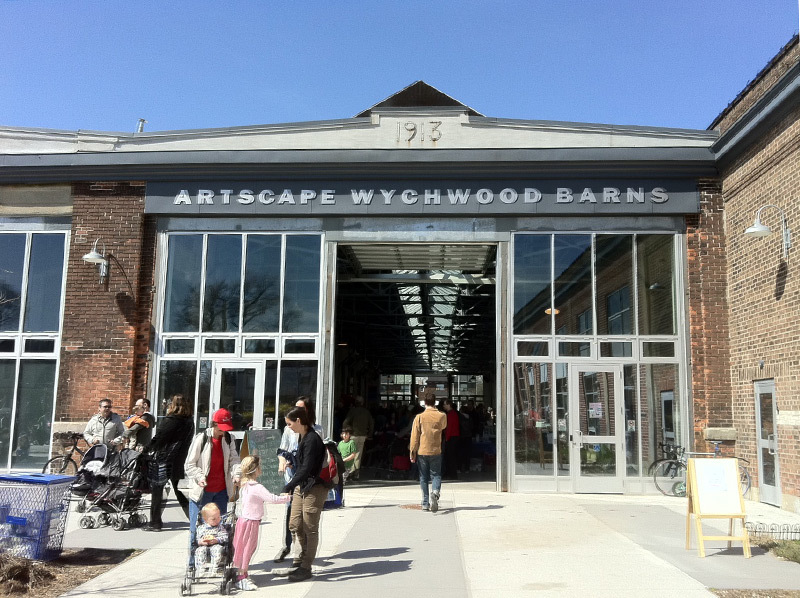 At the end of my street in Toronto is a really cool place – the Artscape Wychwood Barns. 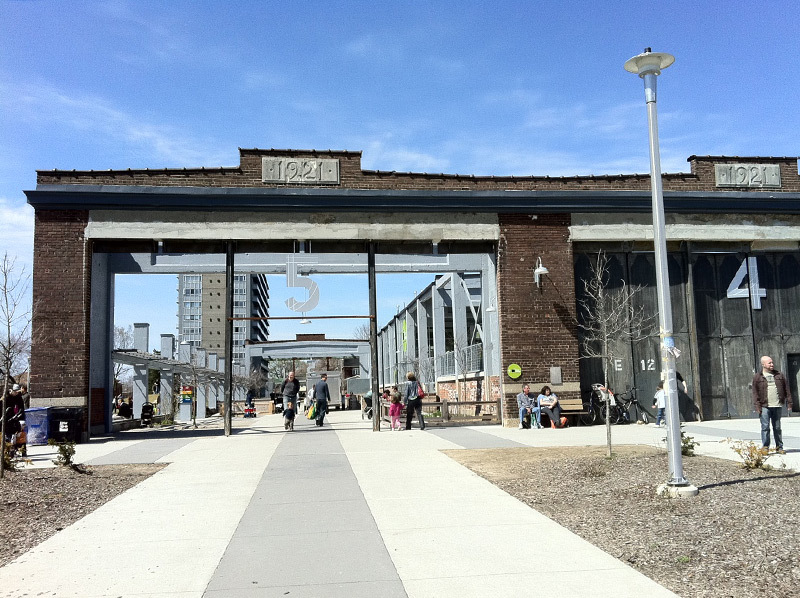 The barns used to house streetcars for the TTC back in the day. 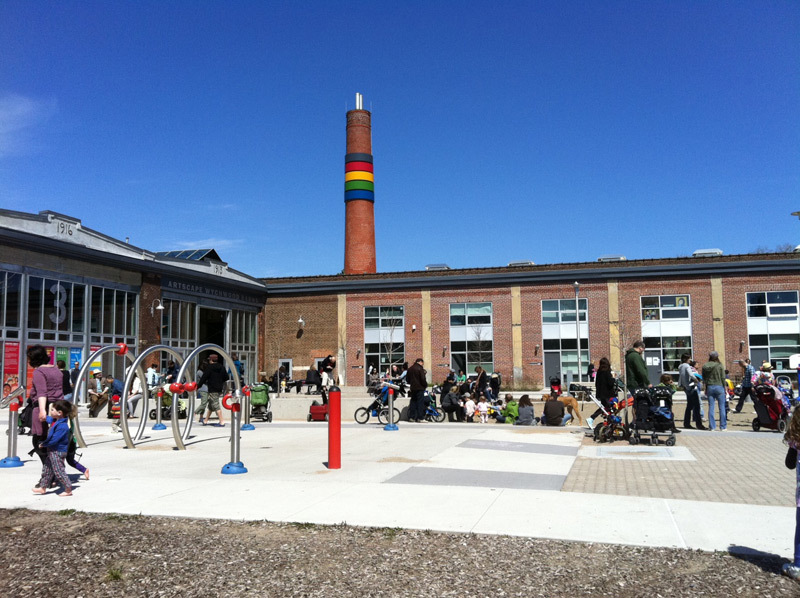 In 2008 Artscape had completed their renovations and my neighbourhood was instantly rejuvenated. 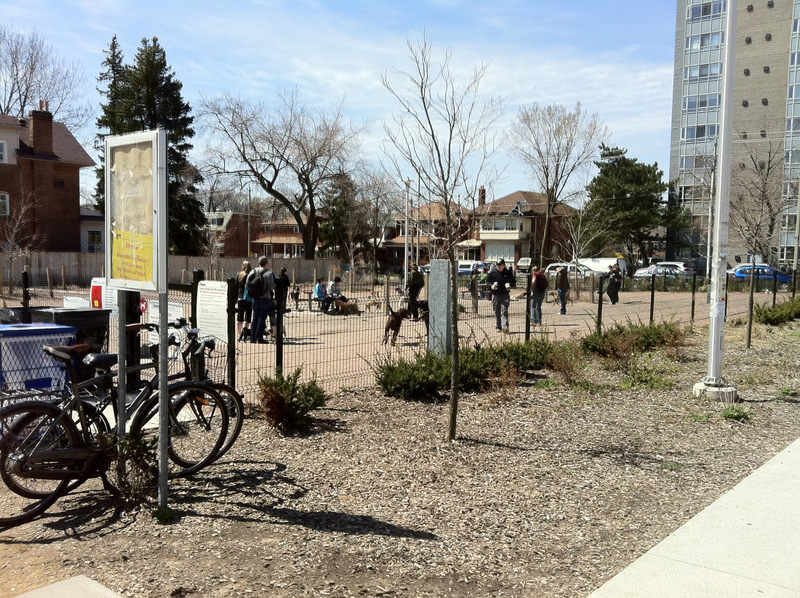 At the Wychwood Barns there is also a great dog park that seems to always be filled with dogs of all kinds. There is also a beach volleyball pit and even a giant chess board. 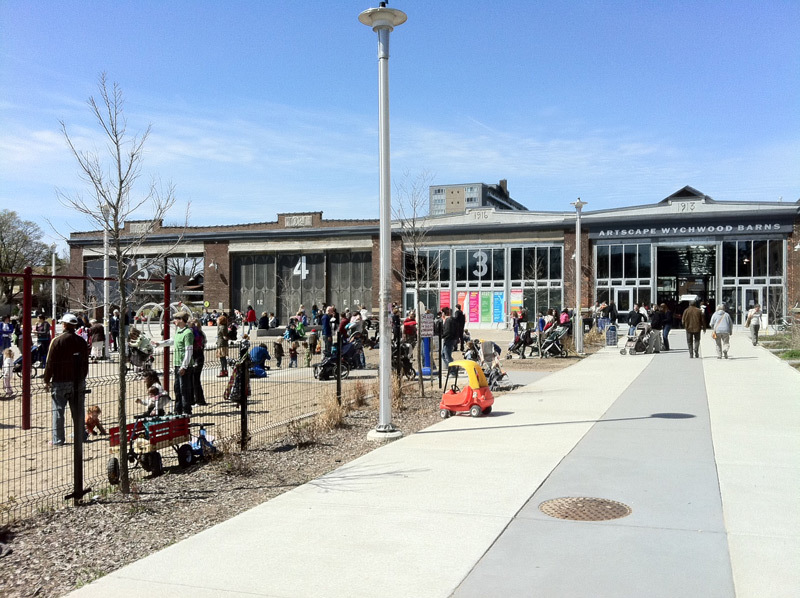 What amazes me every time I visit the Wychwood Barns is the number of people that spend time there. Literally hundreds of people pour over on the weekends. Parents with coffee in hand, kids running around, artists creating. I love it. I have lived in this area of Toronto for eight years and I have never seen it so vibrant before. 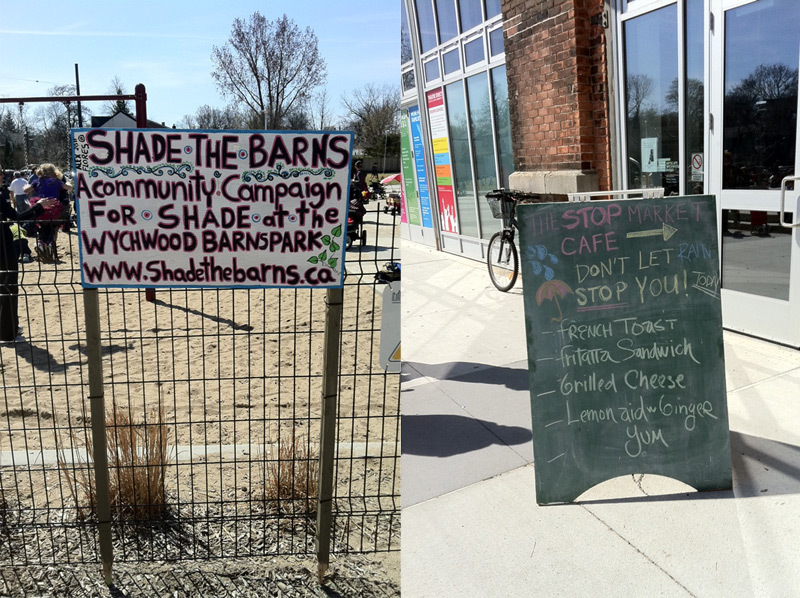 This neighbourhood was just crying out for a great space like this. 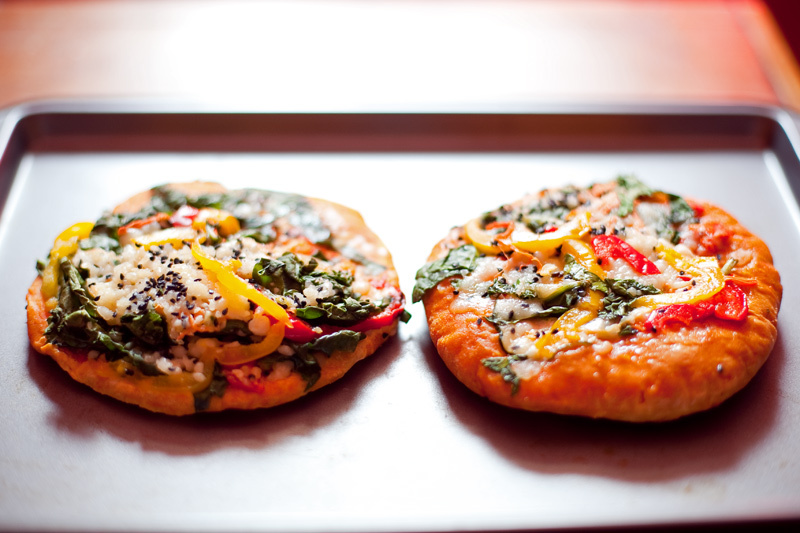 The last time that I visited the Saturday Market, I was not in any real need for specific foods. 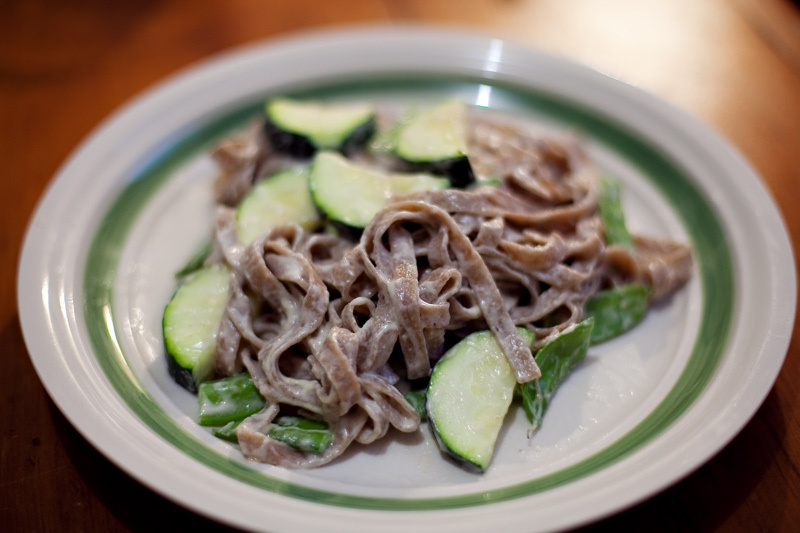 But I did manage to pick up these delicious pizzas and some fresh pasta (that I added snow peas, zucchini and Alfredo to). ooo thanks for sharing! Last time I was around it was just starting renovations so it’s awesome to see what they’ve done! Makes me miss Toronto that much more! Awwww we’ll have to take Vannya for a visit there next time around.